The canoe was found by Randy Lathrop on September 11. While Hurricane Irma wreaked havoc along its path, it may have also unearthed a piece of history in Florida. 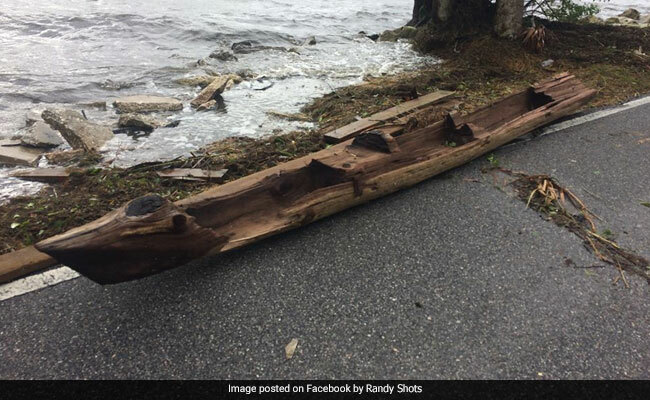 A wooden canoe that emerged from the bottom of the Indian River could possibly be hundreds of years old, according to officials. The canoe was discovered by photographer Randy Lathrop on September 11, during an early morning bike ride, reports ABC News. Mr Lathrop reported his find to the Florida Bureau of Archaeological Research, Division of Historical Resources, Department of State. He also posted pictures of the dugout canoe on his Facebook page, where they have been shared over 92,000 times. The narrow wooden boat resembles a dugout canoe, that, according to the University of Florida, are canoes made of hollowed out cypress logs and were used by Florida's Seminole Indians, among other tribes. According to the Florida Division of Historical Resources, the roughly 15-foot canoe was evaluated by a professional archeologist . They add that the canoe is at minimum several decades old, and quite possibly several hundred years old. Carbon dating will reveal the exact age of the canoe in a few weeks, they write on Facebook.